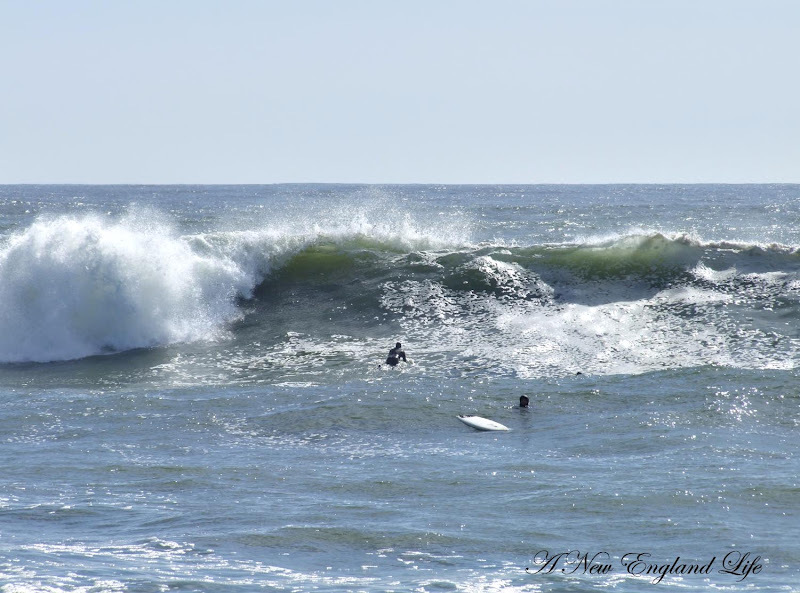 A New England Life: Gnarly! 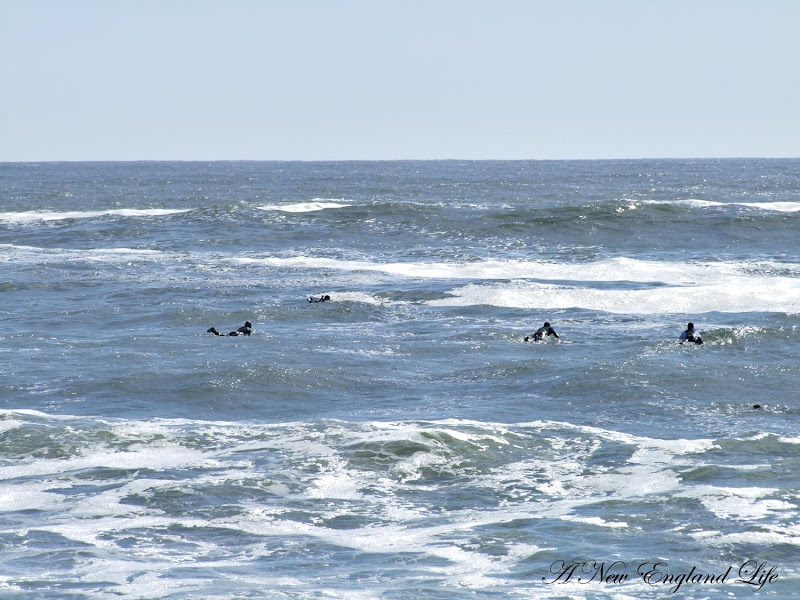 Last Tuesday when I was out shooting the surf in Rye Harbor I knew for certain the surfers would be out too. 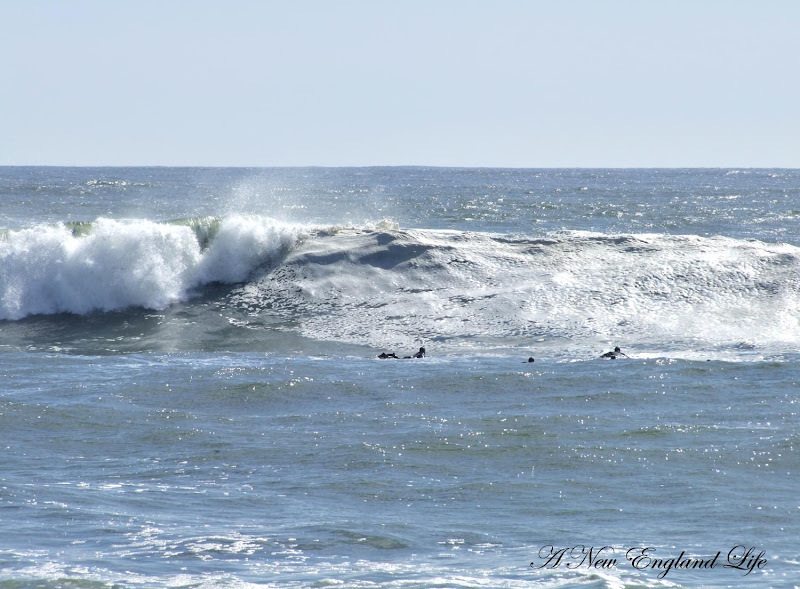 They can't resist the great waves over by Fox Point. Sure enough they were out. Not as many as I had suspected but there were several. Often times photographers with much fancier camera's than mine congregate on the hill to watch and shoot but on this particular morning I was the only one around. Oh yeah, here comes a good one . . . I don't know much about surfing but this looks like a radical wave to me! Come on boys! It's a gnarly wave! Shred it! You have got to be kidding me? Not one of them rode the wave! 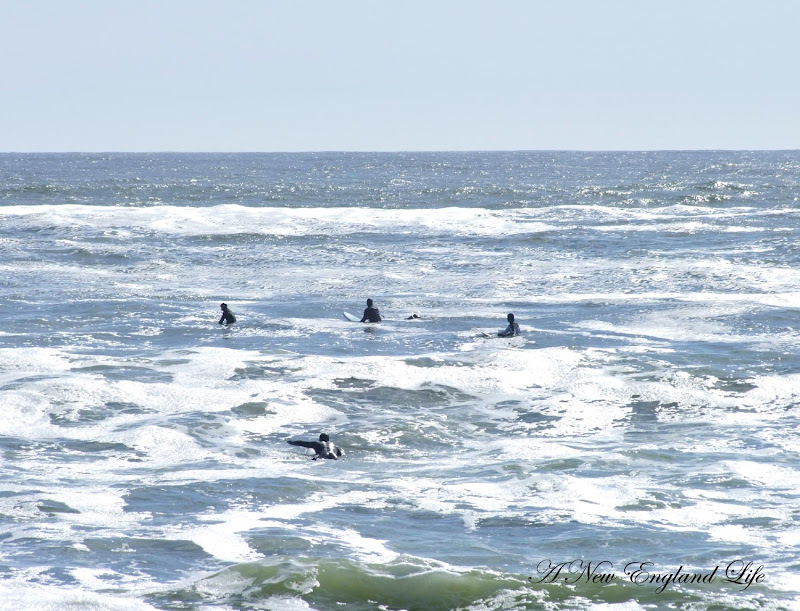 I waited around a long time and mostly they just kept paddling out, missing wave after wave. As I say, I know almost nothing about surfing and what constitutes the perfect wave, but I would have rode that baby right into shore. You betcha! Too funny! But I give them courage to even be out on the water in THAT! 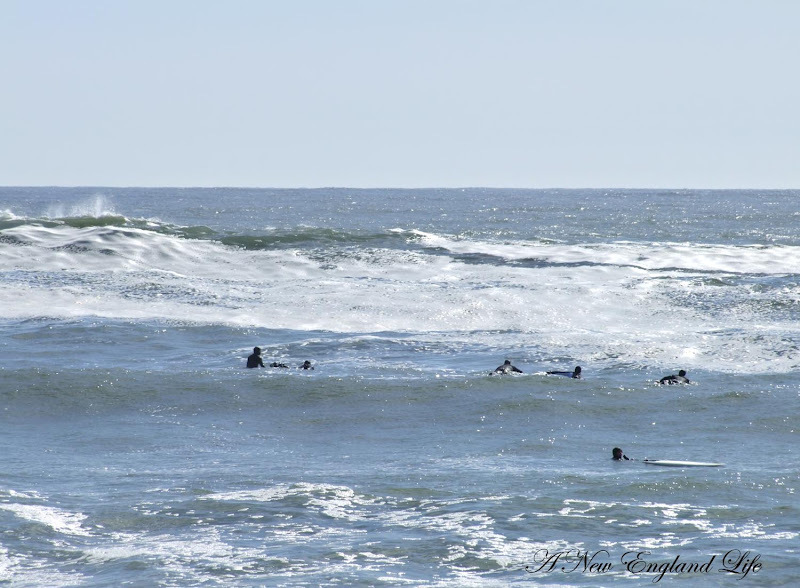 Maybe they were a new club learning to surf and that day's assignment was just to go out and paddle to the wave? Maybe just beginners? They were probably disappointed too. 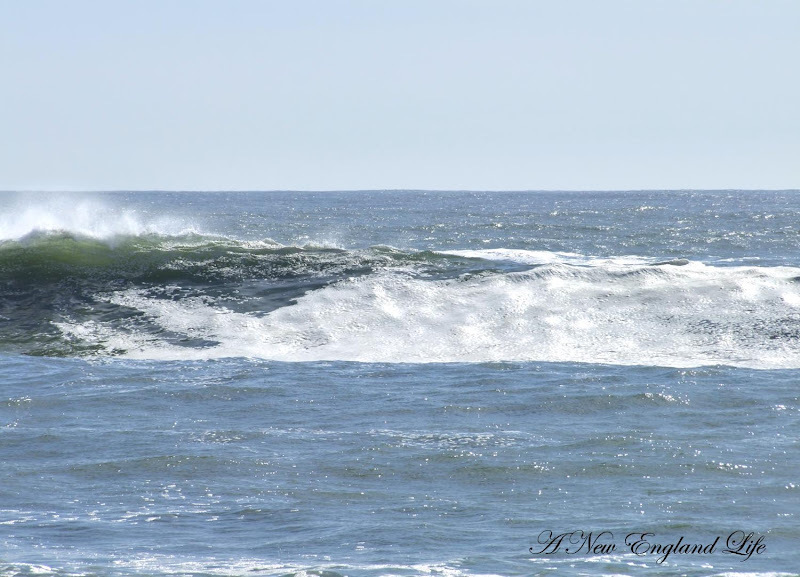 Great wave photo's! Brrrrrrr is all I can say about that! Brrrr is right! Actually I can't imagine being out in those waves without a life vest on. But if I were THEN I would ride the waves! Those waves look so scary!! I don't know how surfers do it! Hmmm...maybe the point is to just go out there and bob like a cork? I can only imagine how cold that water must be. I'd be on the shore next to you...with a camera. I am amazed, to be in that freezing cold water and not take that wave... maybe they just like to chill? Something I've always wanted to do on a cold spring morning. It looks so exhillerating, doesn't it?! I love your photos! Great pictures Sharon. 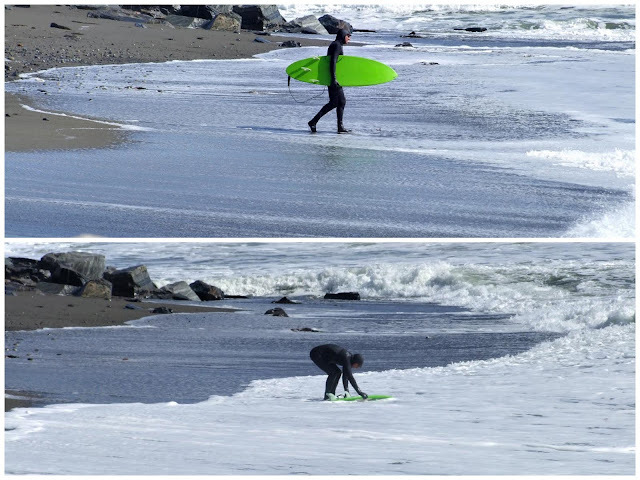 It must be so cold there, maybe indeed they were learning how to surf. That's gotta be Way COLD waters!!! Maybe it's a Guy Thing. Your pictures are just incredible. Fantastic! Brr Brr Brr. Too COLD. Great pictures though! Brrrr...looks too cold for me. I wonder why they didn't ride the waves! They certainly looked big enough. Great action shots. 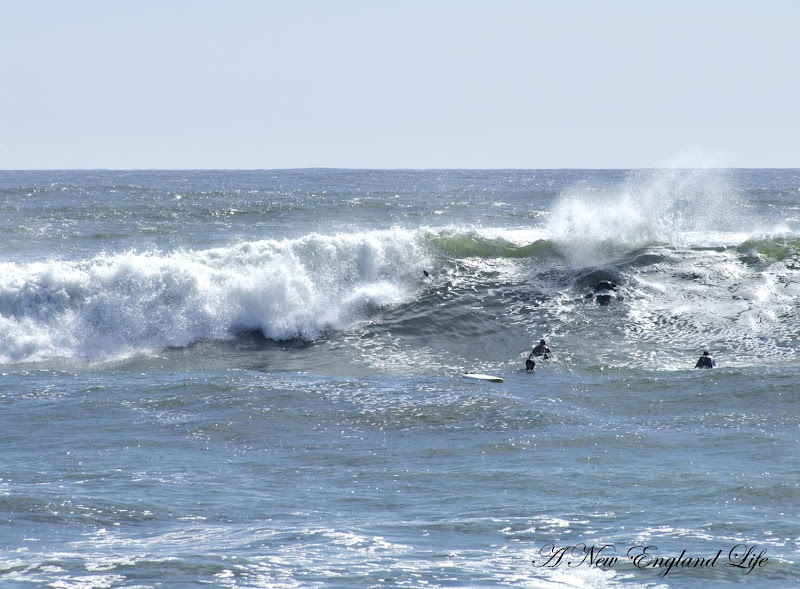 Those waves look so foamy and powerful in your photos - great catches! You are so funny! I wouldn't be in the water, though! Just on the sidelines taking pictures - I'm afraid of water! Plus, hello? Isn't that water freezing at this time?